First of all, let’s quickly recap the key issues at hand here. When it comes to the issue of microtransactions, the main complaint with NBA 2K18 is that 2K got too greedy. Gamers were actively pushed to spend money to avoid lengthy grinding and remain competitive online. VC earnings were nerfed, and prices were blatant gouges. The approach was anti-consumer and completely lacking in goodwill. As far as problems with matchmaking are concerned, the key point of contention is that it’s still quite basic. The broad tiers make it far too easy for opponents of unequal skill level and experience to be matched up against each other, across all modes of online play. So, how are the two situations linked? Well, microtransactions obviously play a big role in boosting abilities and progression. Whether it’s immediately beefing up your MyPLAYER’s ratings, or stocking up on packs to put together a super squad in MyTEAM quicker than normal, microtransactions can put you on the fast track to success. 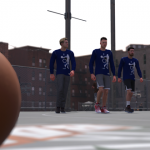 Despite the grumbling, NBA 2K’s userbase has demonstrated a willingness – be it grudgingly or enthusiastically – to boost 2K’s profits with what they refer to as “recurrent revenue”. This is fine offline, but upsets the competitive balance in online play when one participant has paid for an advantage the other is still grinding for. It should be noted that microtransactions are optional, and that it is possible to build up your MyPLAYER or MyTEAM without spending any real currency on Virtual Currency. This leads a lot of apologists to sneeringly condescend “Don’t like it? Don’t spend money on VC!” In theory, that’s a fair statement and good advice. If you don’t want to spend extra money, then don’t. In practice, it’s not that simple. Even if you put aside the tedium of grinding for VC and MT to buy ratings upgrades and packs, if you play online, you will be facing people that have taken a paid shortcut. You can’t avoid them, and the disadvantage that you’ll be at. They set the tone and the playing field. That’s where the issue of limited matchmaking comes in. 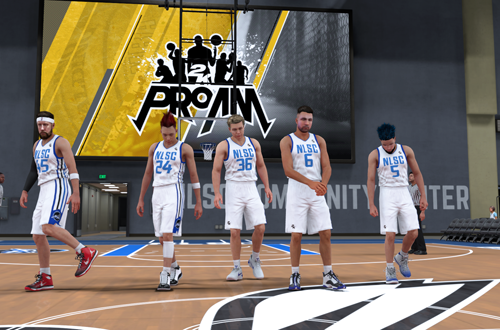 Take 2K Pro-Am: a freshly created Amateur tier team full of players who paid their way to 86 Overall will be matched up with Amateur tier teams full of players still slowly working their way up from 60 Overall. In order to find opponents, inter-tier matchups will also occur, often leading to severe mismatches in skill and/or experience. As for The Playground, if you’re a newcomer, it’s tough to compete with veterans who are holding court, having ground or paid their way to far superior ratings, mastered the tactics, and picked the best Archetypes. Similar matchmaking woes occur in online MyTEAM games, too. Even if you eliminate microtransactions from the equation, the simplified approach to matchmaking is problematic. Not everyone is at the same skill level, or at the same point of progression. Now, you might be tempted to say “git gud”, but that’s a myopic, elitist point of view. Sports and other competitions are usually graded in some way to ensure the participants are facing opponents of similar skill and ability. It makes for a fairer contest, which is not only sporting, but offers the best opportunity to practice and improve. In this way, as you get better, you rank up and start facing competition that you’re now better equipped to handle. You earn your way into the top divisions. Remove sensible grading and matchmaking, and add in pay-to-win options and issues with the game itself (including broken or overpowered MyPLAYER Archetypes), and you’ve got an experience that caters almost exclusively to elite and meta gamers, as well as those who are willing to pay for shortcuts. If you’re new, more of a casual online gamer, or don’t want to pay, you’re out of luck. Without proper matchmaking, the online modes can be unforgiving and uninviting, essentially punishing gamers for not grinding since launch. It’s bad enough when the toxicity of online gaming culture is to blame for gatekeeping, let alone the matchmaking mechanics of the game itself. Compare the situation with Rocket League, which features casual and competitive online play. In this context, casual simply means unranked online exhibition play; the matches themselves are often still competitive and the players skilled, but there’s no ranking at stake, and the atmosphere tends to be friendlier. If you join in competitive play, you’ll be competing for rank, which factors into finding opponents. The better you play, the more you’ll rank up, and the stiffer the competition. You’ll sometimes face opponents that are a little tougher or easier than expected, but for the most part, your play will place you in a division that suits your skill and experience. This means the online experience in Rocket League can cater to everyone: gamers who are just having a bit of fun, the ones that are taking it a bit more seriously, all the way up to the elite gamers and eSports competitors. It’s something that 2K needs to seriously consider, especially now that it has its own professional League. A better matchmaking system would not only open up the online experience to everyone, but potentially be an asset in recruiting gamers to take part in the NBA 2K League. Most of us wouldn’t have to worry about that, simply enjoying competition at our level, but the elite could stand out and be noticed, even before the combine takes place. The difference in skill level and ability to compete is definitely affected by the pay-to-win mechanics of microtransactions though, and as already noted, that’s what ends up dictating the playing field. In an illuminating post on Reddit, a former developer for EVE Online outlined the potential problems with an approach that moves NBA 2K towards an MMO model, as it pertains to appeal and player retention. 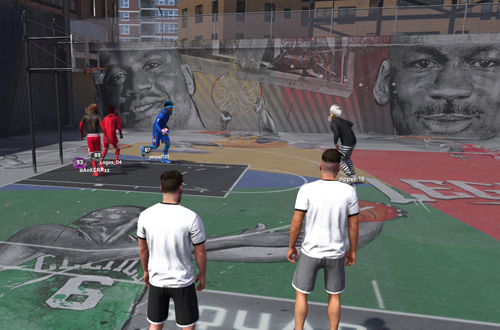 While the NBA 2K series is currently offering a fun variety of online experiences, they can easily be ruined through a lack of matchmaking and pushing microtransactions too hard. We’re not seeing the fall just yet, but the backlash from gamers is already very vocal. Microtransactions are here to stay in NBA 2K, but it’s vital that they aren’t intrusive to the experience. 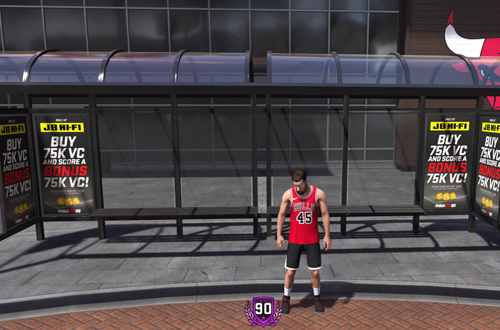 As I’ve discussed before, 2K needs to adopt a less greedy approach in NBA 2K19. Even if the situation isn’t improved, however, the game could have its cake and eat it too by implementing better matchmaking based on Overall Ratings, the number of games played, and both individual and team win-loss records. 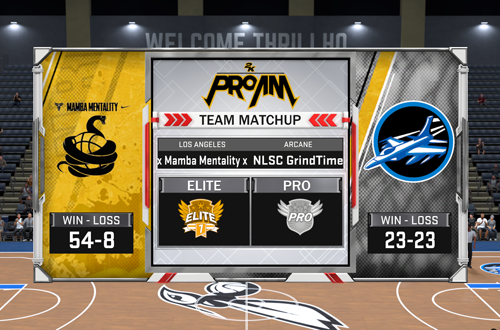 Right now, a lot of 2K Pro-Am teams disband to start fresh back in the Amateur tier, which isn’t indicative of their abilities. A deeper approach to matchmaking would alleviate that problem, and make modes more welcoming to gamers who get into them a little later. My concern is that 2K could see this as giving up on a way to get gamers to spend money, as microtransactions wouldn’t impact competitive balance as much. Knowing that, it’s possible, even likely, that they’d avoid doing anything that would cut into their recurrent revenue; even if it meant a better online experience. I hope that that’s merely cynical speculation, though. Their current track record is a bit iffy – and their move to eliminate the Early Tip-Off Weekend from the Standard Edition pre-orders doesn’t inspire confidence – but I would hope that 2K can find a way to improve matchmaking and online play, while also satisfying their recurrent revenue goals. After all, if the choice between spending and not spending money on VC is actually a choice between a great experience and an intolerable one, it won’t be long before the userbase is fed up. If online play only favours the elite and doesn’t welcome new and intermediate gamers, interest in those modes will begin to dwindle. Forcing gamers to engage in microtransactions to have a chance at competing and enjoying themselves is only going to make that happen quicker. Microtransactions and matchmaking must be handled properly in NBA 2K19, and beyond. That will ensure all of the game’s modes live up to their potential as engaging experiences, not just reliable revenue streams. It definitely costs money to produce NBA 2K and license all the necessary likenesses and whatnot, but the game makes a lot of money even before microtransactions. As I said, microtransactions can be a part of the game (and will be), it’s just a matter of whether they’re intrusive to the experience. The longer it intrudes on the experience, the more gamers are going to turn away, and then the revenue won’t be there anyway.